Boone is a thriving university town with a population of over 18,000 year-round residents and is the center for commerce in the high country. Home to Appalachian State University, Boone is nestled in a valley in in Watauga County at an elevation of 3300 feet. 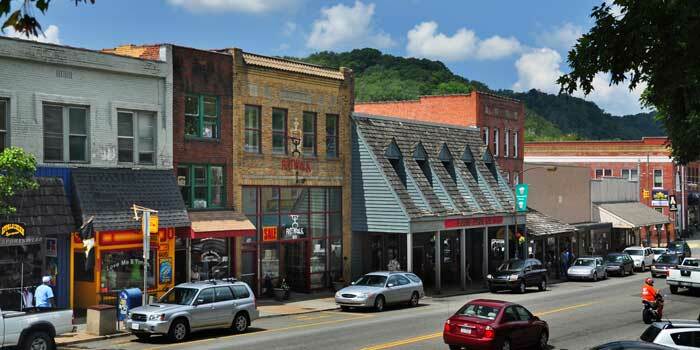 Downtown Boone, with its one-of-a-kind shops, restaurants, and boutiques, retains the nostalgic feel of the town’s early days, while the architecture of Appalachian State University serves as a modern backdrop for this popular mountain playground. The Appalachian Regional Medical Center provides comprehensive medical services to the region. Boone has a variety of real estate options, ranging from condominiums to luxurious mountain lodges and estates. Be sure to check out the 750 acre planned community, known as the Hound Ears Club. This community has incredible amenities, including world-class golf, tennis, dining options, swimming and fitness, and is nestled in a picturesque mountain setting with home prices ranging from the $200s – $1M+. If you are looking for a great condo with amenities and easy access to Sugar Mountain, The Timbers may suit your style. Prices range from the low $300s to the mid $400s. Or, for mountain estate living at its finest, be certain to visit Yonahlossee. This gorgeous mountain resort boasts a variety of real estate options, ranging from cozy cottages to quintessential mountain retreats. Enjoy the multitude of amenities offered at Yonahlossee, such as golf, world-class tennis, swimming, fitness and fine dining. Boone has something to offer to everyone, be sure to check out area events, festivals and cultural happenings in this thriving, university town. See the Newest Boone properties for sale below, or click to search just Boone, NC listings. Find Out Your Home Value By Searching Below!